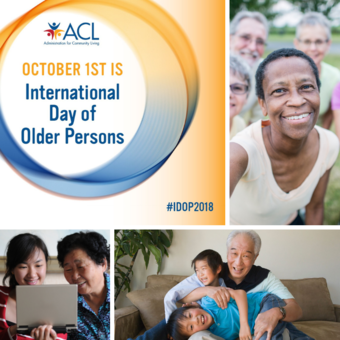 As the Assistant Secretary for Aging and Administrator for Community Living (ACL), it is my honor to lead the agency in the federal government dedicated to promoting the rights of older persons, including supporting their independence, health, and wellbeing. This also means recognizing older adults’ many contributions to our society. They are grandparents, parents, great aunts and uncles; they are friends and mentors; they are community leaders and volunteers; they are also elected officials, and critical contributors in the workforce. Clearly, our communities are stronger when everyone has the opportunity to contribute their talents.